Ok, so I gave up on the loop and the sloper. Also tried a neat endfend with a 9:1 balun. It performed ok but was really noisy. 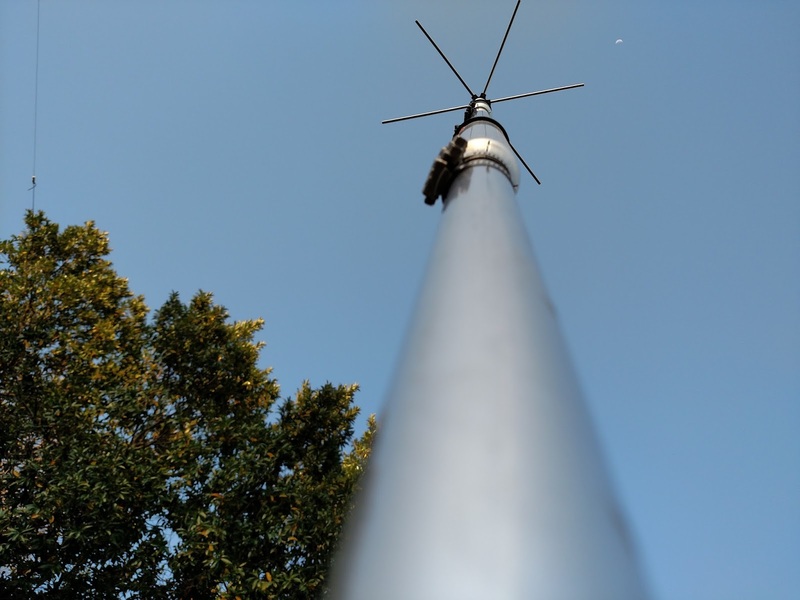 So I installed Hustler 4BTV on DXSSB Contest Weekend. Thanks to Greg at HRO in New Hampshire for changing the order to allow me to pick-up the antenna at UPS. 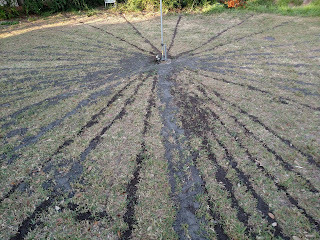 The radials were from #24 surplus wire from Sarasota Electronics and hooked up to ground bus bars for electrical boxes. The bus bars were about 7 dollars each. The wire was about 10. Much cheaper setup than the DX Engineering radial plate kit. Not as solid or as good quality but it works until I can afford the good stuff! Without tune up, out of the box, the antenna is ok. 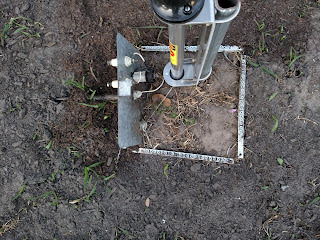 So I will need to tune up 40 meters and maybe 20. I am extremely happy with the antenna and had great success during the ARRL DX SSB contest this month. Here are some pics. 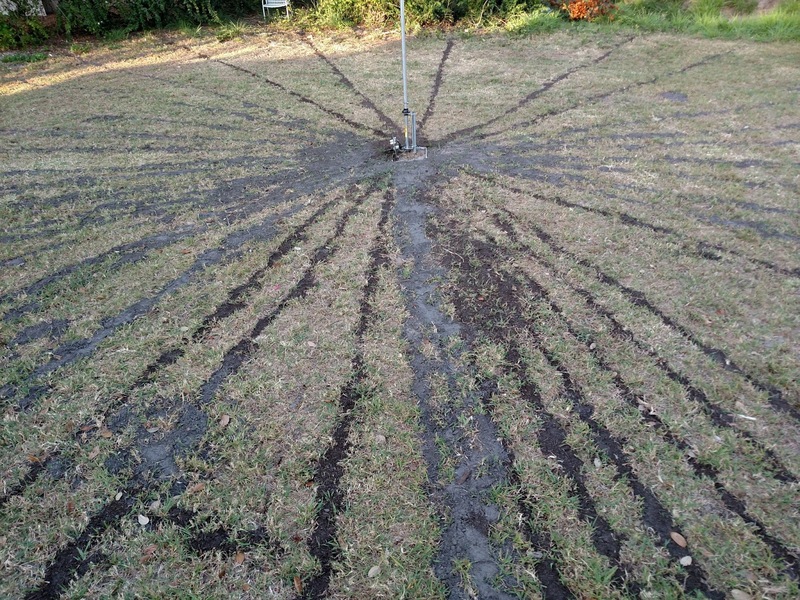 Radials are buried about 1" down to keep from getting chewed up by the mower. 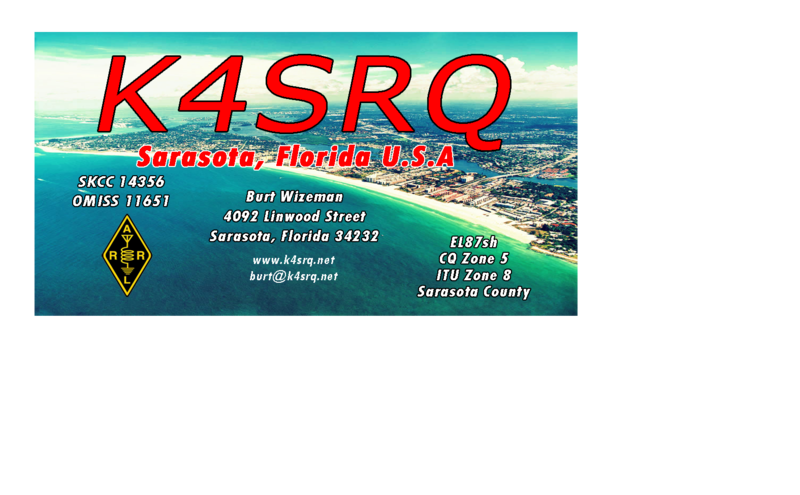 Check my log on the Activity page to see how it is performing from Sarasota, Florida. 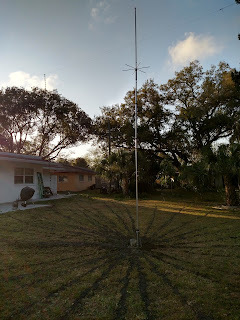 G5RV Jr. A great antenna. obstacles etc. Longest ones are 34+ feet and shortest about 16.
still in place though obviously not used as I am using the PL259. All was sprayed with clear outdoor Enamel to help protect from corrosion.